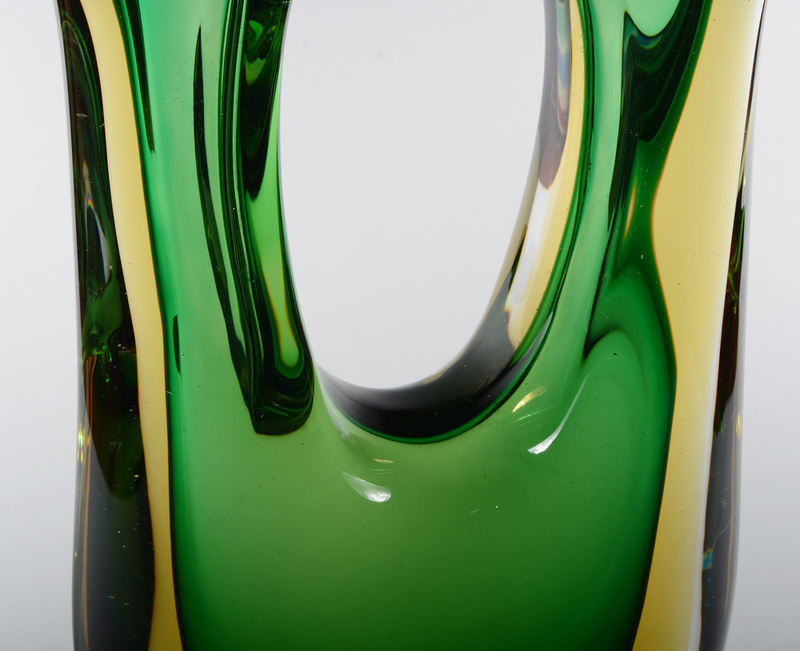 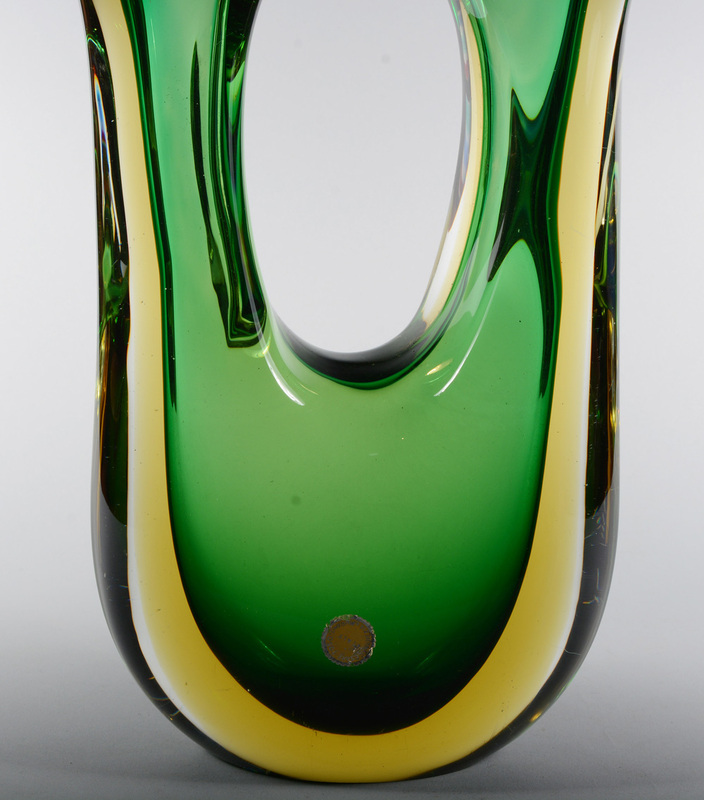 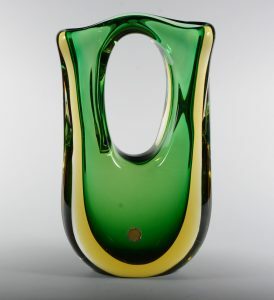 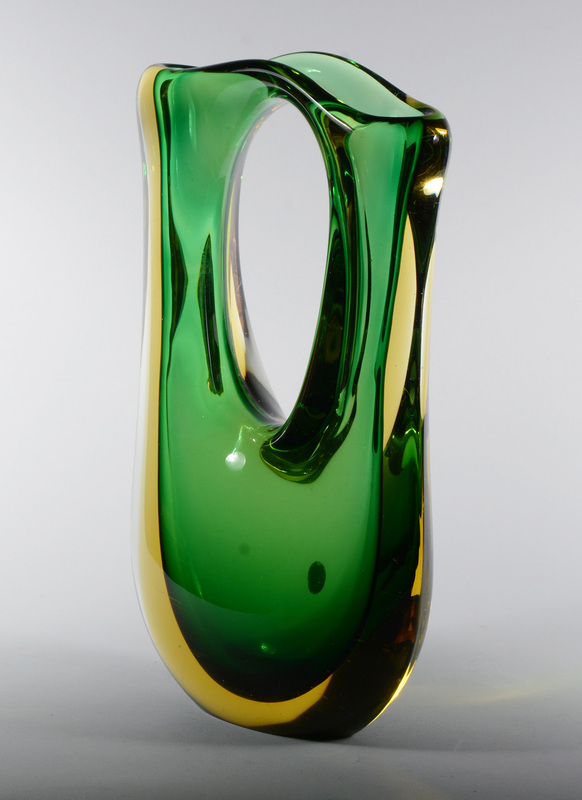 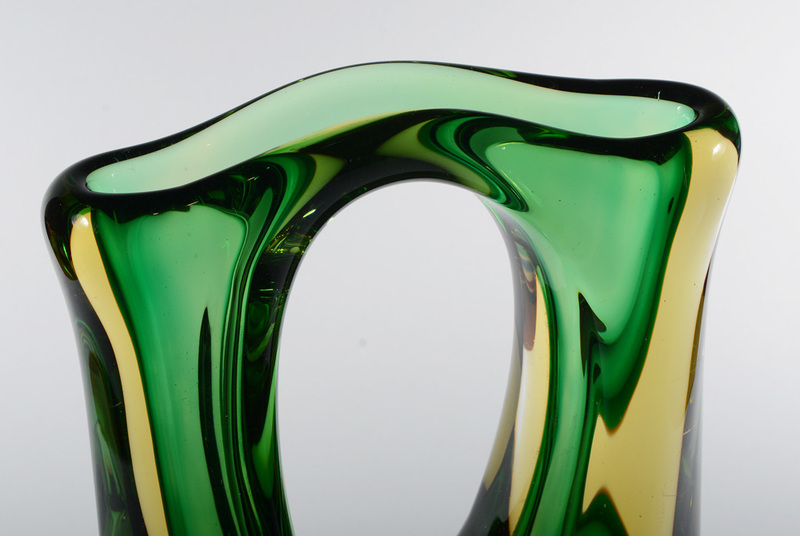 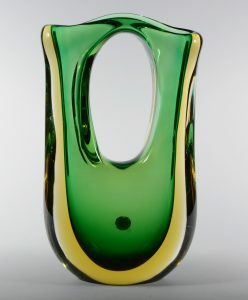 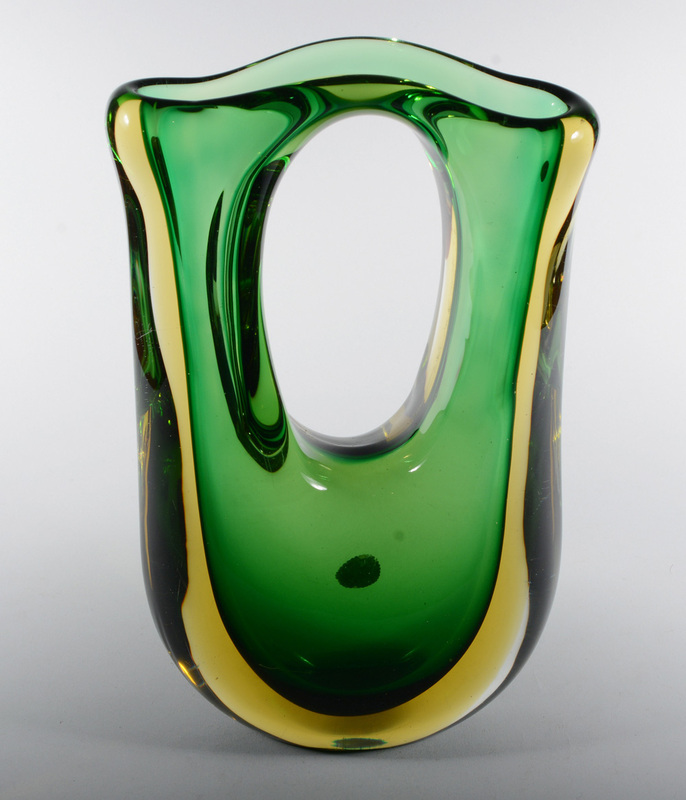 Pierced Sommerso glass vase by Murano artist Cesare Toso. 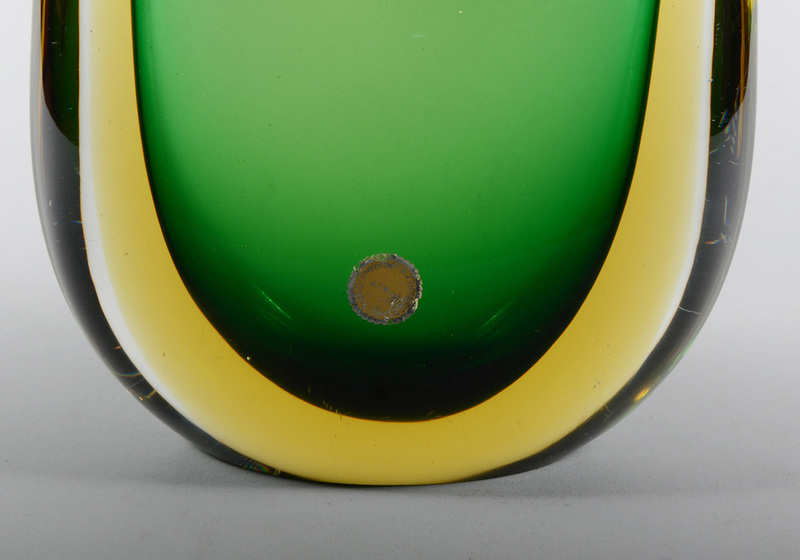 This has a green interior layered with a golden yellow and then clear. 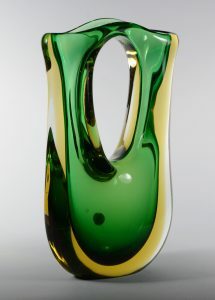 The vase retains the Cesare Toso label. There is some slight water stains on the inside and a few scratches on the exterior. 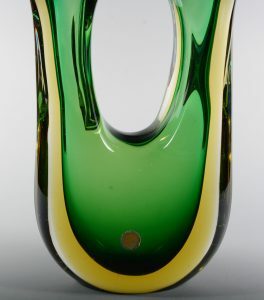 H 10.5 in. x W 6.13 in. 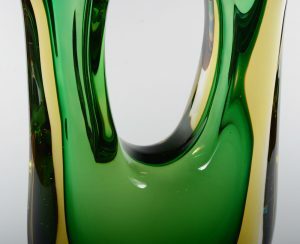 x D 3 in.